Here on 9th of April we provide you Pakistan National Accreditation Council PNAC Jobs 2019 CTS Online Form. 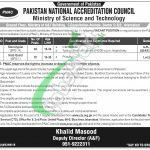 Applications are being offered from Federal Govt body which is abbreviated as PNAC Pakistan National Accreditation Council, a subordinate office of the Ministry of Science and Technology and it is looking to recruit following staff. Jobs in PNAC 2019 and for it is looking for the responsible, educated, caliber and adroit applicants are required to fill the posts of (Stenotypist (BPS-14) and Naib Qasid (BPS-01)) are the posts which need to be filled by the applicants. PNAC is abbreviated as Pakistan National Accreditation Council is the Federal Govt body which is working under the Ministry of Science & Technology and the main motive of this council is to regulate and accredit the laboratories and certifications. It's headquarters are lying in Islamabad. Being a Govt department it offers Govt jobs of different scales. For Stenotypist the applicants should be having the Intermediate with typing/shorthand speed of 40/80 wpm in respectively. For Naib Qasid Primary pass can apply. Age limit should be 18-30 year's is required and the age relaxation will be given as per Govt rules. For Sr. No. 1 Applicants are required to apply by downloading the application form along with deposit slip from CTS Site www.cts.org.pk or it can be accessed from the following link given below. Duly filled application with paid deposit slip should reach at Candidates Testing Service (CTS), Office No. 6, 2nd Floor, United Plaza, 96-E, Blue Area, Islamabad. For Sr. No. 2 Application form is available at www.pnac.org.pk and submit it Ground Floor, Ministry of IS&T Building, 1-Constitution Avenue, Sector G-5/2, Islamabad. Last Date for submission of application is February 04, 2019. Government employees should apply through proper channel with NOC letter. Information about Roll Number & CTS test date will be dispatched at the CTS Site before one week of test. Only qualified candidates from written test will be allowed to appear for interview. Last Date to Apply: February 04, 2019. Address for Sr. No. 1: Candidates Testing Service (CTS), Office No. 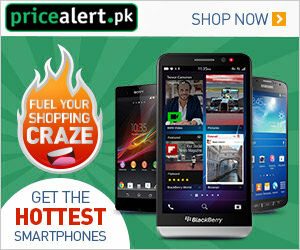 6, 2nd Floor, United Plaza, 96-E, Blue Area, Islamabad.